Corsair’s range of gaming products have proved to be one of the best and have become extremely popular in the market. They combine extreme build quality, affordable prices, and a ton of great features which led them to the top of the industry. Also, with the excellence of their products, Corsair’s gaming products sure have expanded across the entire genre. Since they continue to bring nothing but the best, Corsair recently released 3 mice and their latest mouse. They even created two new designs plus a refresh of one of their legendary classics. These products are the Harpoon RGB Wireless, the Ironclaw RGB, and the device that we’re going to be focusing on today, the Corsair M65 RGB Elite. We’re going to begin with this model, and considering that it’s one of the most popular device thanks to its sniper button and comfortable form, we’re pretty sure that a lot of people already have a good idea of what the M65 RGB Elite has in store. Corsair M65 RGB Elite Review – What’s in the Box? We can say that bright is quite an understatement when we talk of Corsair’s choice of packaging for their M65 RGB Elite. It’s safe to assume that the company loves yellow since both of the front and back panels of the package feature that specific color. 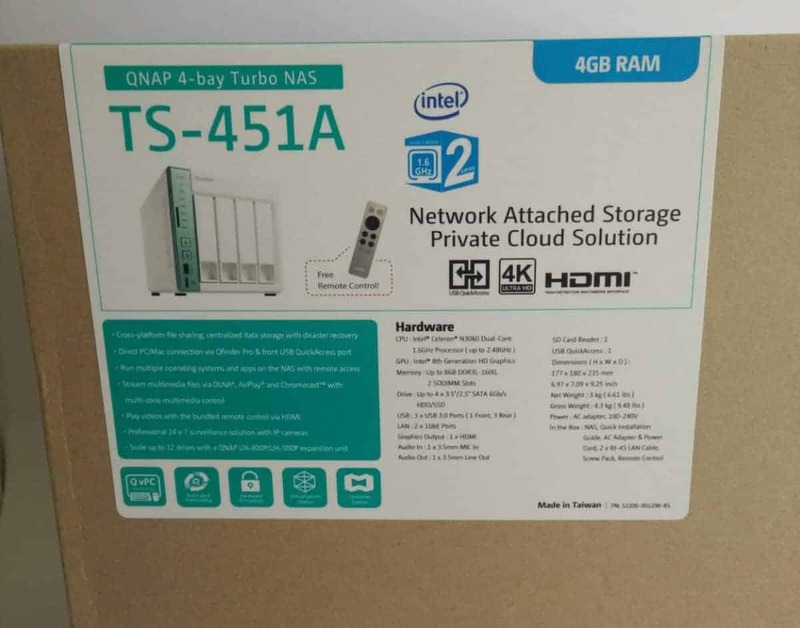 When you look at the box, you’ll see that it features your common render images as well as the necessary technical information about the device. Inside, the box includes the white M65 RGB Elite itself, as well as a couple of booklets containing details on the setup, warranty, and even the disposal. Let us start off with the fact that this M65 RGB Elite from Corsair is simply gorgeous. Its white chassis well complements the grey mouse wheel and side panels. We really loved how the RGB shines right through the slots which are located at the back of the device. It’s really attractive since this effect creates a specific type of lighting beneath it. When looking at the M65 RGB Elite, you can definitely say that it is a next-level type of mouse design. Plus, its impressive contemporary design makes it stand out, despite it greatly sticking to the same appearance as the original M65 RGB which was released back in September of 2014. Here, there are two different zones of RGB lighting that can be managed via iCUE, Corsair’s proprietary software. When we tried gripping the mouse, it felt really nice and comfortable to the touch. Even if you have bigger hands, it would still be comfortable which makes it a good device. Another notable aspect of the mouse is that it is extremely lightweight; so even if you have the removable weights set, its overall weight is just 115 grams. Speaking of the weights, there are a total of three secure weights present on the M65 RGB Elite. Compared to other mice with weights that can be easily removed, the ones of the M65 are concealed beneath three large covers that need to be unscrewed first before you can access the weights. If you are the type of user who prefer mice that are extremely light, then you can simply remove the weights which will leave the device weighing just 97 grams. The M65 RGB Elite is not like your typical mouse since it has a total of five PTFE feet beneath the device. This device is only 116.5 millimeters long, 76.5 millimeters wide, and is 39 millimeters tall. If you remove the weights or cables, it becomes an even lighter device that is just 97 grams. The cable that we mentioned is 1.8 meters long and features a braided covering. We mentioned earlier that the mouse has three weights. Each of these weigh 4.1 grams. Depending on your preferences, you can either leave these on for a heavier device, or remove them to have a lightweight mouse. Now for the colors, the M65 RGB Elite device has a vibrant and rich RGB system for color customization and management. It allows a total of 16.8 million color backlight from one of the three LED areas. We really liked its cast made from a tough aluminum body shell concealed by a rubber grip. The M65 sensor is also based from the Pixart PMW 3391 which only means that this device is among the most accurate and precise ones to date. The M65 RGB Elite features a native 18,000 DPI in 1 DPI resolution steps which delivers highly accurate tracking and complete sensitivity customization. This makes the M65 the perfect FPS gaming mouse. The M65 RGB Elite features a weight system where you can adjust its core of gravity or reduce its weight to just 97 grams. The mouse’s frame is made of anodized aluminum for a longer lifespan. It also has Omron switches that are rated for above 50,000,000 clicks. Win every battle and mission in your games with the remapped buttons of your mouse, or assign customized macros to each click. There is also a sniper button that is placed conveniently on the mouse to easily reduce sensitivity when shooting in a game. The mouse has stunning backlighting that can be customized. The illumination that it offers are almost unlimited. No matter how beautiful or aesthetically pleasing a gaming mouse is, it won’t mean much of it can’t perform at all. It’s a good thing that this M65 RGB Elite from Corsair performs excellently while also looking just as stunning. Its sensors are rated 18,000 DPI, and via the iCUE software, you can easily change this in 1 DPI steps. This only means that you can easily dial the sensitivity of the device to a level that is adequate for your preferences. The buttons of the mouse are also very responsive which helps remove any form of lag between in-game actions and lags. We tried and tested the device by playing some of our games, and in any genre, it performed perfectly. It has this dedicated sniper button which helped us execute some shots that we had difficulties doing using our original mouse. For our time using the M65 RGB Elite gamng mouse we found that it was incredibly comfortable to use and was perfect for a range of gaming and productivity tasks. This is an excellent gaming mouse that easily deserves some praise. This mouse is an instant buy, go get it. The Corsair iCUE software manages your peripherals, PSU, AIO cooler, RGB commander, and everything else that can be monitored and programmed. This new software becomes more impressive as the months pass and everything about it is excellent. It works fast, smooth, and it updates frequently to deliver great performance at all times. For its appearance, the control panel has a minimalist look which we really appreciate since it makes the program easier to use and understand. At the top section of the interface, all Corsair devices that are connected are displayed. There are options that you can use to configure lighting portions of your peripherals and create powerful actions such as timer countdowns, macros, DPI adjustments, re-mappable key assignments, and others. The iCUE is an extensive suite where you can also set various preferences in several profiles. The first page of the program lets you to choose the device you want to customize. Profiles tab is where all button assignments are made, while Performance lets you adjust the DPI settings, pointer motion speed, Sniper DPI, lift height, and angle snapping. For any 16.8M different RGB colors, you get three lighting zones and you can also include few lighting effects. Aside from all of these, you can configure the size, colors, and transparency of the text according to your preferences. All in all, the software lets you enjoy unlimited possibilities since it allows you to tweak your M65 RGB Elite and other Corsair devices completely. Generally, the M65 RGB Elite is an excellent mouse that has a unique shape – short yet wide and it’s great for claw grip. When it comes to its surface, it’s nice and easy to grip since the materials used are perfect for. The same thing goes for its build quality since it’s solid and doesn’t feel cheap. We also liked that we didn’t find any misalignments and hear any creaking and squeaking. Performance-wise, we also think it’s fantastic because of their collaboration with Pix Art and the PMW3391. The resolution settings it delivers are in native increments of 1CPI. We didn’t experience any problems with input lag at high levels of CPI, unlike other flagship PixArt sensors. The M65 RGB Elite is raw and responsive, making it perfect for eSports gaming. As for the iCUE software that lets you control all compatible Corsair devices, it’s great since it wasn’t slow and we didn’t encounter bugs when we used it. The logo and scroll will lights up once you save your preferred settings. The transitions are fast and smooth, plus the colors are really vivid. If you’re looking for the best option for an affordable gaming mouse that not only looks good but performs wells too, then we highly recommend the Corsair M65 RGB Elite. You can purchase the Corsair M65 RGB ELite gaming mouse for $59USD from your local retailer. For more information head on over to the Corsair product page.